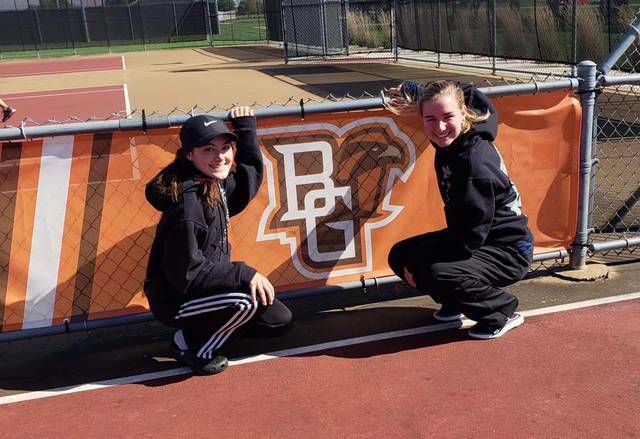 BOWLING GREEN — The three remaining girls representing the Galion Lady Tigers tennis team headed to Bowling Green State University on Thursday for the opening rounds of the district tournament. In singles action, Kayley Gimbel took to the court as the number one seed and would prove why she earned the honor, winning her first match of the day against her opponent from Lima Central Catholic; 6-1, 6-0 to advance to a second round matchup. With a victory in that second round, Gimbel would advance to seeding play on Saturday in Port Clinton and an automatic bid to the Ohio High School Athletic Association’s 43rd Annual State Tournament. Gimbel would meet up with a representative from Clyde in that second round and again would emerge victorious; 6-0, 6-1 to clinch her spot for Saturday and advance to the state tourney for the second consecutive season. Kayley will next compete in the district semifinals on Saturday held in Port Clinton and will face a player from either Napoleon or Bellevue at 10:00 am. 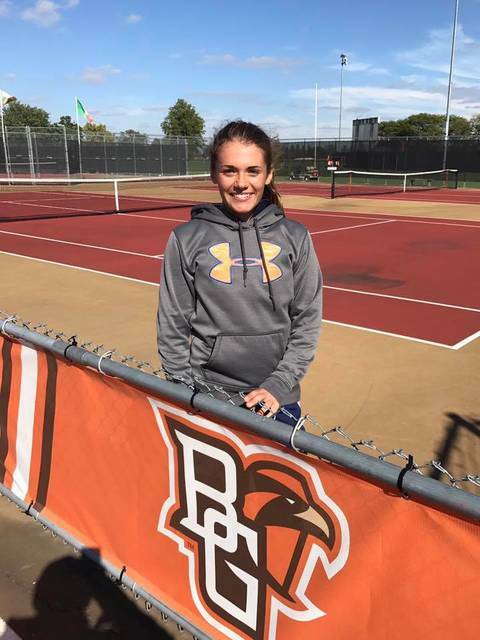 After receiving her seed on Saturday, Gimbel will be down in Mason at Lindner Family Tennis Center next weekend as she competes for a potential Division II state title. Over in doubles action, the second seeded Galion duo of Katherine Talbott and Jalyn Oswald faced off against a pairing from Ottawa Hills in the opening round. Unfortunately, that would be the end of the tournament run and season as the Lady Tigers’ tandem fell in a difficult match; 2-6, 4-6. With the loss, Talbott saw her junior season end with just two total losses, both in doubles play, while Oswald’s career for Galion High School came to a conclusion in similar fashion.